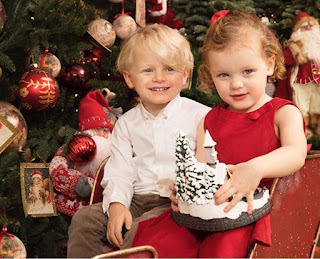 Prince Jacques and Princess Gabriella Christmas 2017 Fashion! The Princely Twins made a couple of appearances in December in time for Christmas. The first was a visit to the Christmas village in Monte Carlo. For this visit. Prince Jacques wore a Christmas sweater from the Disney store. 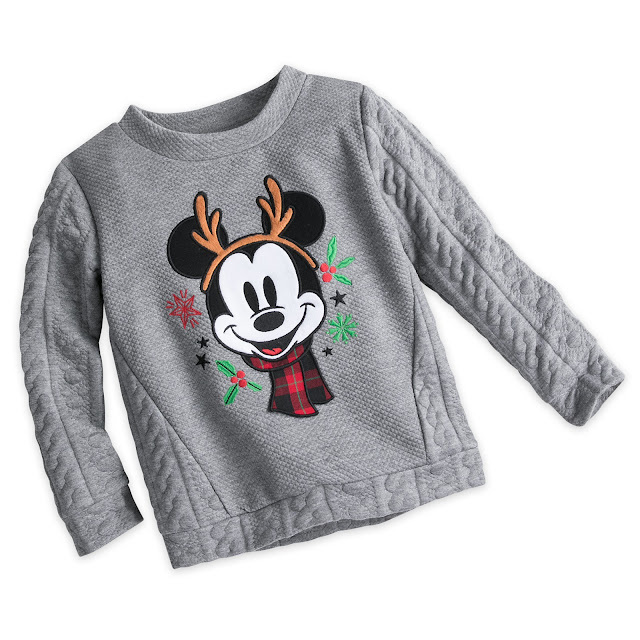 The sweater originally cost $34.95 but is now on sale for $10.99 and you can buy it from HERE. Princess Gabriella went a little bit more to the high-end side and wore a floral nylon coat with a fur trim by Dolce and Gabbana. The coat is now sold out but it originally retailed for $682. Last time this D&G coat was seen online, it was on sale for $409. For the annual Christmas photo, the twins switched places. Prince Jacques climbed up the high fashion hill and wore an ivory white Gucci shirt that retails for $275 and you can buy from HERE. Gabriella on the other side went for a modest, yet purely enchanting, red dress by United Colors of Benetton. 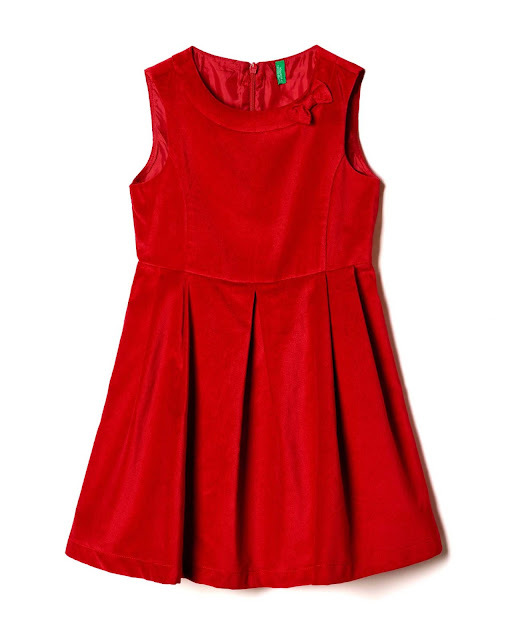 The frock originally retailed for £35.95 but is now on sale £17.98 and is available on their website. Seeing Gabriella and Jacques is always a treat for me. It's amazing watching them grow up from tiny babies (hyperlink) to the beautiful children they are now. I can't help but be concerned -from a modernist perspective- if the Gabriella is always in pink/red and Jacques is in neutral/blue just because they are expected to wear certain colours and styles based on their genders. Prince Albert and Princess Charlene said once in an interview that Gabriella likes pink, so I'm really hope she's not dressed to meet a certain stereotype! 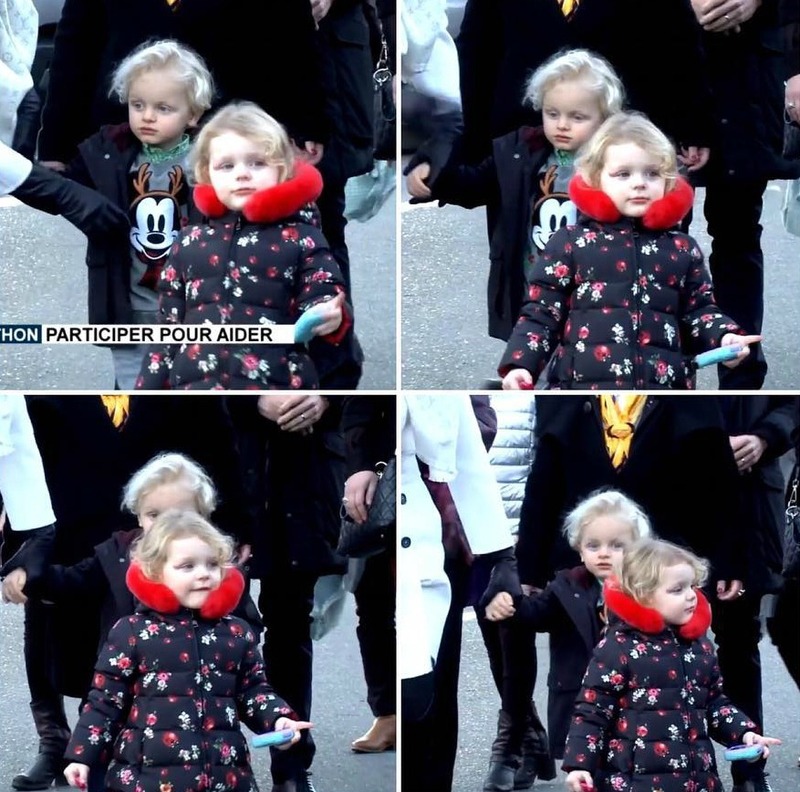 What do you think of the twins' outfits?